The body of a scale of 1:10 was made of Lexan. The bodies were based on the famous Tamiya TA02 chassis. This chassis is equipped with a powerful electric motor and wheel drive (Tamiya TA03 belt drive 4WD). 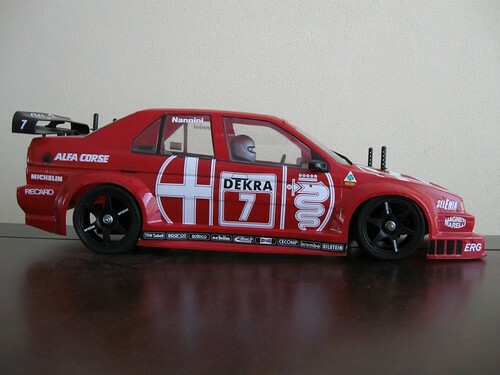 Tamiya 1:10 155 v6 ti - topic at forum "Alfa 155 Club"